Currently, several research facilities and Universities in the United States and around the world are conducting cancer studies using Gold Nanoparticles. the National Center for Nano-science and Technology, Beijing, China. Some abbreviations will be used on this page. Colloidal gold is sub-micrometer nanoparticles of gold suspended in a fluid, usually water. The photo at the right (provided by Wikimedia), is an example of how the size of a gold nanoparticle, determines the color of the colloidal gold. Colloidal gold is not a new way of using nano gold, in fact, before the birth of Jesus Christ (BC), colloidal gold was used to make Ruby Red Glass. Colloidal gold has also been used to make stained glass because of the vibrant colors it creates through its interaction with visible light. Modern scientific experimentation with colloidal gold did not start until the 1850s. In 1856, a famous British scientist named Michael Faraday accidentally created a ruby red solution while mounting pieces of gold leaf onto microscope slides, in a basement laboratory of the Royal Institute in London. Faraday recognized that the color of colloidal gold was the result of how light is scattered by the small size of the gold particles. This visual reaction between gold nanoparticles and light is called the Faraday-Tyndall effect. How Small are Gold Nanoparticles? A common question that people ask is: "How big are Gold Nanoparticles?" However, the best way to understand how gold nanoparticles work isn't in asking how big they are, but how small are they? 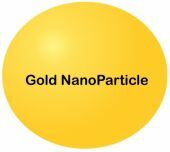 Gold Nanoparticles range in the size from 1 nm (nm = nanometer) in size to several hundred Nano-meters in size. It can sometimes be hard to wrap your mind around how small a atom is, so this guide has posted the following comparison to help you visualize how small the nanoparticles are that are used in cancer research. The size of a normal red blood cell is about 6 to 8 micrometers (6 - 8 μm = micrometer or micron). 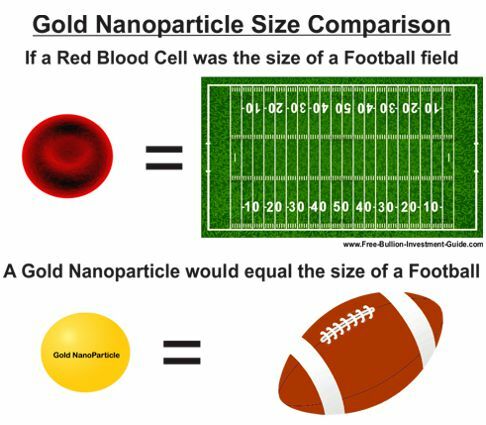 The graphic below offers realistic interpretation of the comparative size differences between a Red Blood Cell and a Gold Nanoparticle. Continue reading to find out how these miraculous small particles can be a better way for treating cancer. Researchers are using several different shapes and sizes in this technology. It is still being determined what shape works best for killing cancerous cells. 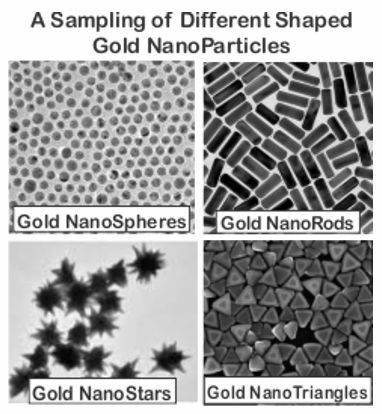 Gold Nanoparticles come in a wide variety of shapes, including, sphere, rod, star and triangle, nano-triangles are also referred to as nano-pyramids. However, although Gold Nano-Rods, Stars and Triangles behave similarly to the gold nano-Spheres, their shapes optimize their light scattering characteristics. In addition, Gold Nano-Rods have also been proven to enter a tumor more readily, than spheres. One of the many advantages that gold nanoparticles possess over other nanoparticles is that for their size they have an enormous surface area. This amazing attribute of nano gold allows researchers to attach more molecules, antibodies or drugs to each individual nanoparticle. The following information was taken from a Stanford University article that included information about the surface area of gold nanoparticles. 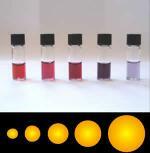 Gold Nanoparticles have a tremendous amount of surface area as compared with larger particles. A cube of gold with sides 1 centimeter long has a total surface area of 6 square centimeters. 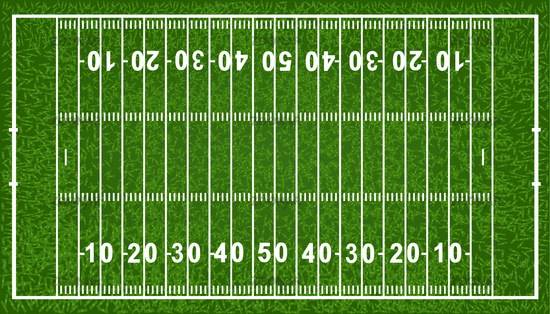 But the same volume filled with gold nano-spheres with diameters of 1 nano-meter has a surface area greater than half a football field. Gold Nanoparticles have a special property called the EPR Effect. EPR Effect stands for Enhanced Permeability and Retention Effect - this is a property where certain sized molecules tend to accumulate in cancer cells more than they do in normal cells. Furthermore, Gold Nanoparticles have a large surface area, so they bind easily with many proteins and drugs, and they can be activated to target cancer cells by over-expressing the nanoparticles surface receptors. Gold Nanoparticles also exhibit a unique Physico-chemical property called "Surface Plasmon Resonance"
Surface Plasmon Resonance or SPR is the collective motion of conduction electrons, meaning that when light or energy waves hit Gold Nanoparticles (in vitro or in vivo), it makes the gold electrons resonate, causing them to heat up. This action heats the cancer cells that the gold nanoparticles are inside or attached to, terminating them, without harming the healthy tissues surrounding the tumor. Metastasis is the process by which cancer multiplies and spreads to other areas of the body. In this process, Cancer cells over-produce a crawling or creeping outer membrane called lamellipodia, in addition attached to the lamellipodia are several tentacles called filopodia. Lamellipodia and filopodia enable cancer cells to move to other tissues which allow cancer to metastasize and spread to other previously healthy areas of the body. 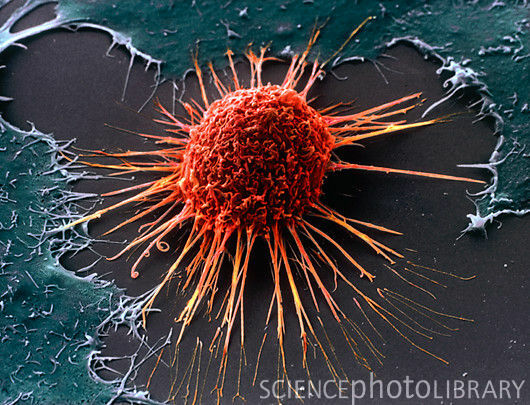 The photo to the right is a magnified image of a cancer cell that shows the lamellipodia and filopodia. However, recently two separate research studies have shown that Gold Nanoparticles can stop cancer cells from metastasizing. The first study comes from Georgia Institute of Technology (Georgia Tech). In this study, the researchers coated gold nanoparticles with an antibody that sought out a protein that cancer cells use to produce lamellipodia and filopodia. Once the particles attached to the cancer cells they blocked the protein's functions, reducing the growth of lamellipodia and filopodia which slowed the migration of the cancer cells. Then after the gold nanoparticles had collected on the outside of the cancer cell, the researchers used a low-energy laser to heat up the particles causing the lamellipodia and filopodia melt and become mangled, which halted the cancer cell from metastasizing. The second study is from the Department of General Surgery at the First Affiliated Hospital of Jinan University in Guangdong, China. 'EMT' is a process in which epithelial cells lose their polarity and gain increased motility, which is associated with metastasis and invasion of cancer cells. The data demonstrated that Gold Nanoparticles (AuNPs) could induce tumor vasculature normalization and reverse EMT, resulting in decreased melanoma tumor metastasis. 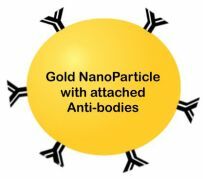 Researchers enhance Gold Nanoparticle's Enhanced Permeability and Retention effect by adding antibodies that contain bio-markers that will help them seek out cancer cells. Once the antibodies find the cancerous cells in the body, the antibodies attach themselves to the tumor. Currently, there are several different methods used to kill cancer cells using Gold Nanoparticles. Below, you'll find information about three of the most common methods researchers use to kill cancer cells with gold nanoparticles. 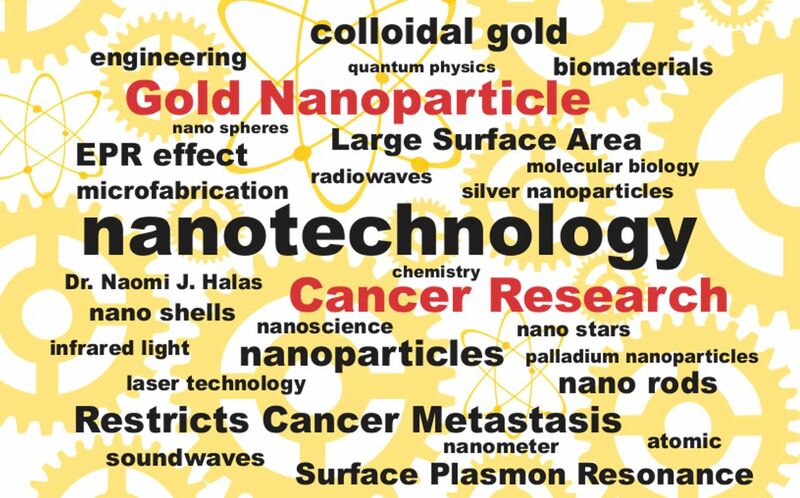 Further down the page, is a list of the latest articles on Gold Nanoparticle Cancer Research. Lasers and Infrared light are one of the most common methods researchers use to kill cancer cells with gold nanoparticles. In this research, a test subject (mouse) has a cancerous tumor; the mouse is injected with gold nanoparticles treated with Antibodies to seek out the cancer cells. Once the researchers know that the gold nanoparticles have reached the cancerous cells, they direct a laser or infrared light in the direction of the Tumor filled with the Gold NanoParticles. Through Surface Plasmon Resonance the light heats the gold nanoparticles, killing cancer cells, and destroying the tumor, while leaving the healthy tissue unscathed. 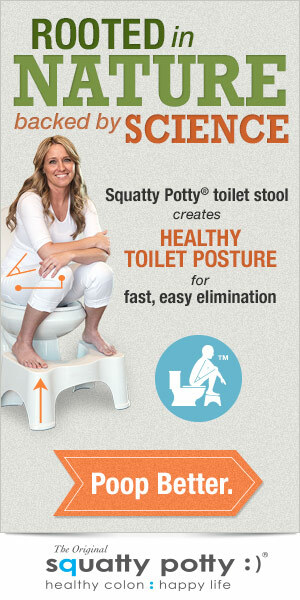 The videos describe how this is done. Another common method of research using Gold Nanoparticles is to attach or infuse the GNPs with a drug or radiation. The researchers attach antibodies to the GNPs that also contain a DNA shell that instructs the shell to open once the GNPs have entered into their cancer target, delivering the drug. There has been a lot of research using chemotherapy drugs attached to Gold Nanoparticles. So far this research has shown the drug killing the tumor, with a lot less of the harmful effects associated with chemotherapy. Another commonly used method of research that kills cancer cells using gold nanoparticles incorporates the use of radio waves, this research is also known as radiotherapy. This form of cancer research involved injecting a test subject with gold nanoparticles with cancer targeting antibodies attached to them. Once the gold nanoparticles had collected into the cancer cells, the area with the cancer, of the test subject, was placed under a radio wave machine. Studies proved that this method killed the cancer cells using nano gold's Surface Plasmon Resonance properties while leaving the rest of the healthy tissues in the body unaffected. 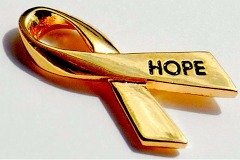 Although there are still many hurdles that this research needs to overcome, gold nanoparticle cancer research is showing great results. Please help by sharing this information with your friends and family and let others know there are non-harmful possibilities beyond the traditional methods for treating cancer. This guide now gives directly to those who perform gold nanoparticle research through The Angel of Healing Cancer Research Fund. 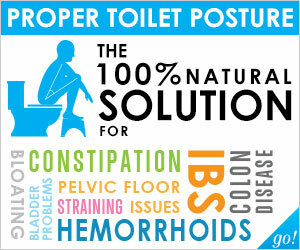 Please support this website so this information can reach more people, and so we can support this ground-breaking research with a donation or by supporting one of our numerous affiliates. Have a Wonderful Day & God Bless! 05/08: Hard Asset Alliance - Could Breakthrough Cancer Treatments Raise Industrial Gold Demand? 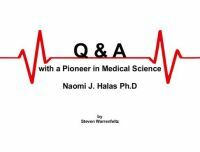 04/21: Vox - Science is why my cancer diagnosis isn't a death sentence. It's why I'm marching tomorrow. 04/17: Science Daily - Scientists Combine a Peptide with a Nano Cancer Drug Formulation to Improve Treatment Effectiveness and Prevent Metastasis in Pancreatic Cancer - "Utilizing the nanoparticle carrier with a core made of gold nanoparticles also made it possible to obtain evidence for the entry of nanoparticles into the tumor"
04/13: Medical News Today - Nanoparticle Nasal Spray May Offer Rapid and Safe Delivery of Drugs to the Brain - gold nanoparticles have emerged as the material of choice for drug delivery. They are relatively easy to synthesize and customize, and they have good bio-compatibility. 01/22: SILVER NANOTECHNOLOGY : CoinWorld - ‘Microbiocidal silver nanoparticle coating’ the solution to filthy paper money? - "Gold is precious in more than one way. We have used tiny gold nanoparticles loaded with targeted drugs to kill cancer cells in the laboratory. Our long term goal is to design new treatments for cancer patients based on this promising approach." Times Record - Nanotechnology part of future Fort Smith college research projects - Nanotechnology could be the best route to fighting cancer, and local researchers want to aid in advancements. PHYS.org - Researcher pursues new applications for 'hot' electrons - Three years after his discovery of porous gold nanoparticles — gold nanoparticles that offer a larger surface area because of their porous nature—a University of Houston researcher is continuing to explore the science and potential applications. Science Daily - Discovery of gold nanocluster 'double' hints at other shape changing particles - At the nanoscale, gold likes to split apart other particles and molecules, making it a useful material for purifying water, imaging and killing tumors, and making solar panels more efficient, among other applications. NCBI - The bright side of plasmonic gold nano-particles; activation of Nrf2, the cellular protective pathway. Imperial College - Scientists are investigating whether microscopic gold beads could make chemotherapy more effective, and reduce side effects for patients. medGadget - Gold Nanoparticles Market Anticipated To Grow To $4.86 Billion by 2020: Grand View Research, Inc.
Cosmetics Design Europe - Latex synthesized gold nano-particles enhance sunscreen SPF -Scientists have found that if gold nano-particles are synthesized with the latex of a native South American plant, then it can enhance the sun protection factor of sunscreens and offer a potent alternative to titanium dioxide and zinc oxide. Israel21c - Gargle with Gold to Find Oral Cancer - A revolutionary diagnostic system under development in Israel uses a mouthwash embedded with gold nano-particles to detect cancer cells. UPI - Nanoparticles to detect cancer cells in a blood sample - This will make it easier to know if all cancer tissue has been removed after a surgery, instead of the wait time usually associated with taking scans months later. Cancer Research UK - What exactly is Google’s ‘cancer nanodetector’? Free-Bullion-Investment-Guide - First Cancer Research Update for Research Team at the Baylor College of Medicine in Houston, TX. Medical Express - 'Quadrapeutics' works in preclinical study of hard-to-treat tumors (using Gold Nano-Particles) - The first preclinical study of the anti-cancer technology "quadrapeutics" found it to be 17 times more efficient than conventional chemoradiation therapy against aggressive, drug-resistant head and neck tumors. VIDEO : Vsauce - Why Don't We All Have Cancer? 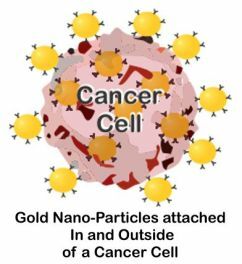 nano werk - Gold Nano-Particles for cancer treatment - A New Project at the National Physical Laboratory will study the Effectiveness of Gold-Nanoparticles used in Cancer Radio-Therapy. 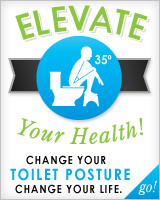 abcNews - Green Tea and Gold to Treat Prostate Cancer?